Join the fun in this celebration of all things golf—a series of life stories, vignettes, and essays from the perspective of an ordinary player who simply loves the game. Joe Bronson has played golf for the past 40 years at courses all over the world—from 84 of the top 100 US venues to England, Scotland, Ireland, Italy, France, Portugal, Spain, China, Japan, Singapore, Malaysia, Australia, New Zealand, and even Israel. 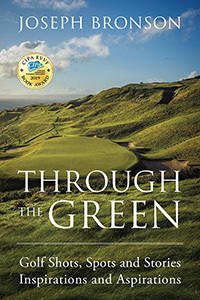 His book includes an account of the hardest holes and the most enjoyable holes he has played, as well as insights into the current state of the game. 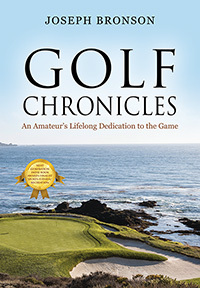 From his first round of golf at age 25 to reaching a handicap of four, this dedicated player’s passion for the game shines through in his entertaining yet informative collection of Golf Chronicles. The book also discusses the current state of the game and some recommendations as to how it can be improved. 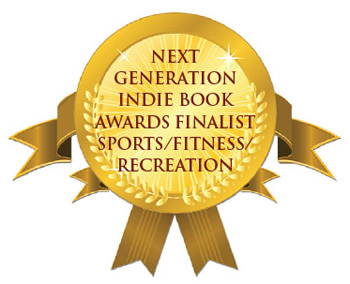 A surprise ending is also in store for the reader who dares to dive into the final story. "Golf is more than a game. It is a reflection of who we are as human beings, how we interact with each other, and a measure of character. Golf is a challenge and the golf course is a good place to check your ego as you pull into the parking lot. No matter how good you think you are, there are literally thousands of people who are better than you.